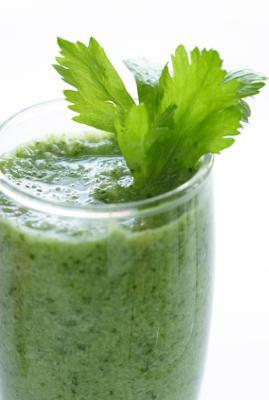 I start my day with some version of this awesome super green smoothie every day. My smoothie can carry me for hours, sometimes as many as 9 before I need to eat or have a green juice. Add the first 5 ingredients and blend until smooth, then add the rest and bend just until thoroughly mixed. Try to keep your blending time under I minute to keep the chance of oxidation of nutrients low. You may need some water to thin this out a bit depending on which fruits and vegetables you use. Some have higher water content than others. I like to have my super green smoothie on the thick side as it seems more satisfying in the long term. All these ingredients are approximates and can be changed or altered as you experiment with your favorite fruits and veggies. I believe variety is good for health in terms of both fruit and vegetables, and that by eating primarily with the seasons you can easily accomplish this. Any blender can be used to make your super green smoothie, however it’s much easier with a powerful blender like the Vitamix or Blendtec. These blenders have powerful motors with large carafes and will make short work of smoothie preparation and lessen the chance of oxidation. I had a Vitamix for 9 years when I sold it and it was still going strong. I currently use the Blendtec with the 3 qt carafe and I think it’s awesome. Regarding fruit skins, do you mean the skins on lemons, oranges, mangoes, etc? I don't think my blender will do this. Also I own a masticating juicer but Im selling it because it takes out all the good fiber...what do you think? What kind of machine for drinks is the best to invest in if you can only afford and have space for one machine? ( I have a good food processor for non-drink recipes) Thank you very much. ****You need a high power blender like the Vitamix or my favorite, the Blendtec for making a great smoothie. Lemon skins yes, but orange and mango go in the compost. I have been eating mostly raw for some time now, and I just wanted to add that if you are eating raw, there is really no need to count calories whatsoever. You can eat/drink to your body's needs (I actually have to add quite a bit of seeds/nuts/good fats to help stay satisfied) and not worry one bit about counting calories. As long as you are adding a good amount of greens and veggies and not too much sweet fruit, your blood sugar will stay stable and you'll feel really good. I'm 52 and I never have to worry about weight, even with coconut and olive oils, as well as raw nuts and seeds. I start my day out with a raw nut/seed/berry combo and that works great for me, then I get my greens and other veggies/fruits in later. Everyone is different and their needs are different. If you listen to your body, it will let you know what works best for you! Love this website - thank you to everyone who contributes. I have learned a lot! I am just starting and I will do first thing in morning after workout. Can I add protein powder and Aloe juice? ****Yes, you certainly can add both. If I were to blend this together, this would provide me with a 830 Calorie Meal. That seems a little excessive for one meal so may I suggest that you alter the portion size depending upon your calorie needs. Whatever diet you follow, I have always found the little and often (i.e. 6-7 smaller meals a day) works better than the large intake and then nothing. I could be completely wrong here of course, as I know nothing of this diet. However I will try this recipe with a more moderate size portion and include raw snacks between meals as well. Hugh's reply*** Some people prefer to eat many smaller meals and some people eat 2 or 3 meals per day. It depends on what works best for each individual. The large blended smoothie works very well for me, but others may prefer smaller portions. The smoothie I have these days is actually bigger than the super green smoothie with more fruit and greens. Which fruit whenyou say other fruit? ½ lb figs, apples, blueberries or other fruit. Are you saying one of each or just choose one? This is just how I start my day too after my workout it last me for hours. How much does the receipe make? It sounds like a lot. How long can you keep leftovers. Hugh's reply****It does make a lot, nearly a full large blender full. I drink it as breakfast and it carries me for up to 7 hours. You could just half the recipe, or as you say put in glass jars and have for lunch. I think fresh is best, but if you consume it the same day that would be alright. Is it ok to make this the night before? My blender wakes up the family? Hugh's reply****Fresh is best, but if you pour the smoothie into jars without any air and place them in the fridge it will keep fairly well. I don't have a food scale so have no earthly idea how much 3/4lb of oranges or 1/2 pound of figs are. Could you maybe post an approximate guideline for this? Hugh's reply**** Sorry for the confusion. 3/4 lb of oranges could be 2 or 3 oranges depending on the size. 1/2 lb of figs is approx. 1/2 a basket. You can pick up a small food scale for very few dollars which can be helpful for measuring food intake and such. Green Smoothie is sound very good, I should start to drink as soon as tomorrow morning.